Originally published in 1916, this book was written to provide readers with a concise account of the leading properties of quartic surfaces possessing nodes or nodal curves. A brief summary of the leading results discussed in the book is included in the form of an introduction. 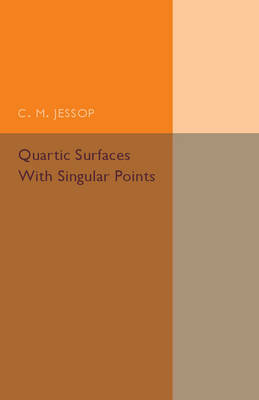 This book will be of value to anyone with an interest in quartic surfaces, algebraic geometry and the history of mathematics.